South Texas College President Shirley Reed. This year marks the 25th anniversary of STC and the celebration of its achievements, which have helped redefine higher education in the Rio Grande Valley. STC was established in 1993 with the passing of Senate Bill 251 called for the creation of a junior college to serve Hidalgo and Starr counties. As founding president Reed had to convince voters to support the creation of a taxing district and the approval of a $20 million bond issue for the establishment of the college, which passed in August of 1995. The college, first known as South Texas Community College, started in a small makeshift campus in McAllen with a cohort of about 1,000 students. And through the years the junior college extended its reach now offering classes at five campuses in McAllen, Weslaco and Rio Grande City, and two education centers in La Joya and Pharr. More than 34,000 students now seek technical certificates, associate degrees and even bachelor degrees across the school’s locations. She knew she had the ability to get the job done, she said, but those whispers and giggles doubting her abilities were hard to ignore until she realized it wasn’t only her abilities they doubted, but those of the people ignored in the higher education community. 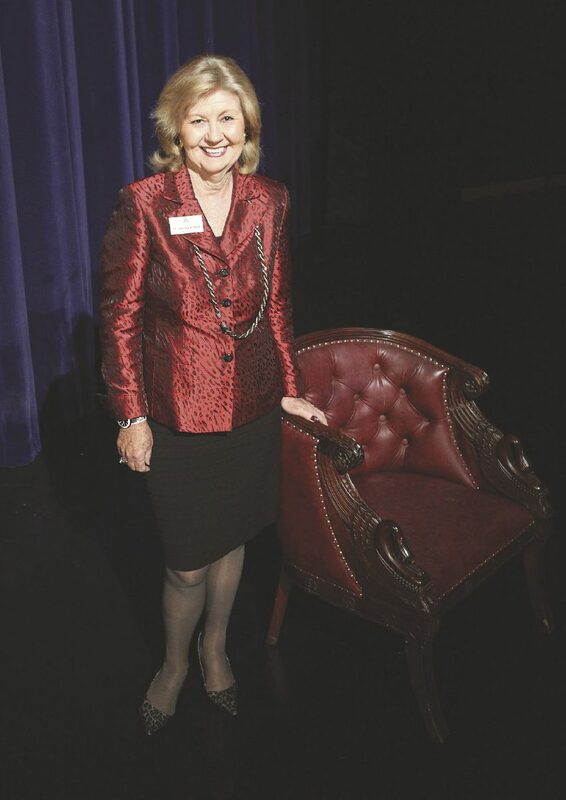 Before Reed knew she would be leading what is now considered the top community college in the Valley, she held the position of vice president for finance and administrative services at Northland Pioneer College in Arizona and had been in higher education for about 20 years. It was during her tenure in Arizona that she gained many of the leadership skills she would later use to lead STC. Reed went into education already holding a doctorate, but decided to pursue a Master’s of Business Administration in international business. This move paid off, she noted, realizing what she learned was necessary in leading the creation of a college near an international border. From its beginning, STC’s target student demographic included mainly those who are the first in their family to go to college. Local leaders, land owners and businessmen, supported the idea of creating a mentality that encouraged college enrollment alternatives aside from attending a four-year institution. They realized, Reed said, that the only way to create growth in the Valley was to offer a path toward good paying jobs. Once voters gave the green light to fund the college, the challenge continued as Reed was tasked along with appointed board members to get the college running. Her life was pretty much STC, Reed said, feeling as though she practically lived on campus to earn accreditation, develop programs and move graduates into the workforce. Much depended on the success of these initial years. “The funding was so limited and we knew that the graduates had to go into good-paying jobs and they had to be well-prepared, or we wouldn’t have any credibility,” Reed said. The college managed to attract talented people who were ready for the challenge and managed to see through the doubts. Many of them have moved on to lead other community colleges, Reed said, and the difference was that these people had seen what higher education could mean in the life of those who thought it was unattainable. The college continues to have students from all walks of life, Reed said, but this particular demographic has remained unchanged as nearly 70 percent of its student body is first generation college students. But even as the college pathways have widened the region remains in need. Reed points out that the Valley’s poverty rate remains at about 40 percent, but stressed that upward social mobility is among the college’s primary goals to give underprivileged students the means of improving their families’ quality of life.